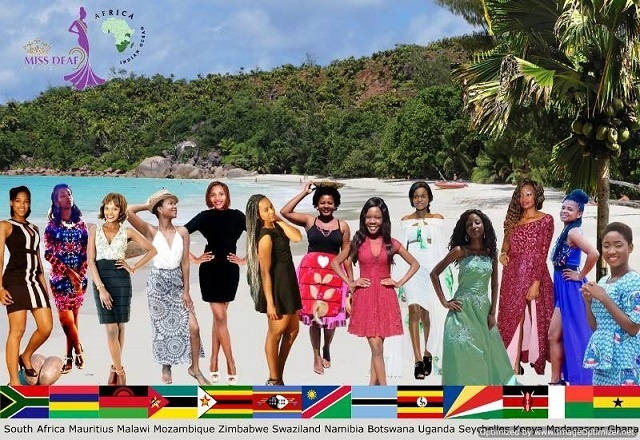 (Seychelles News Agency) - Seychelles will host the first Miss Deaf Indian Ocean beauty pageant and the seventh Miss Deaf Africa on Saturday, November 24 at the International Conference Centre in Victoria, the capital. The event, which is being organised by the Seychelles’ Association of People with Hearing Impairment (APHI), will see the participation of at least nine African countries. Seychelles will be represented by 27-year-old Debra Dogley. Tickets for the beauty pageant are being sold at the Association's office in Victoria at $37 dollars (SCR500 rupees). The winner of the pageant will be crowned by the reigning Miss Deaf of Africa for 2017, Nasjtassia Khoner, who comes from Namibia. Khoner, who is already in Seychelles, a group of 115 islands in the western Indian Ocean, paid a courtesy call on President Danny Faure at State House on Tuesday. In welcoming Khoner to the island nation, Faure expressed his happiness that such an event is taking place in Seychelles. The President said he hoped that the pageant would be a success and that APHI continues to inspire others with disabilities to participate in such events. He noted that the government is working closely with the association and will continue to support its work. 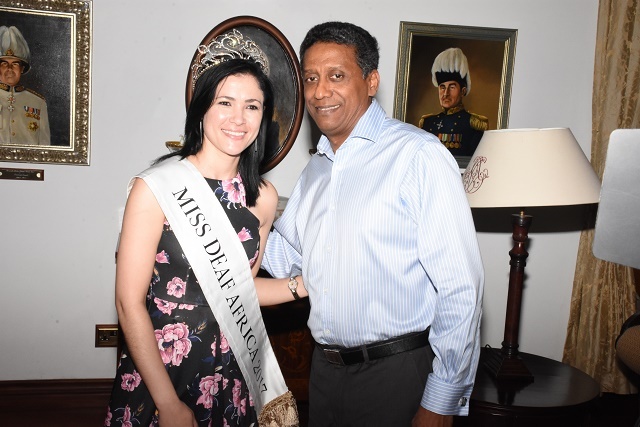 Khoner commended the government of Seychelles for its strong support of APHI and its activities and also shared the issues related to the deaf community in Namibia. In an interview with the press, Khoner said that people with hearing disabilities in Seychelles must be empowered and should always have access to free education. “I strongly believe that every woman and children with hearing disabilities should have equal opportunities and access to education similar to those that can hear,” she added. The Miss Deaf Indian Ocean and Miss Deaf Africa pageant on Saturday is being organised as a celebration and serves to honour the incredible members of the deaf community in Africa.